This is the first time two Fulanis are vying neck-to-neck for the presidency in Nigeria, in spite of the 2007 contest between Alhaji Umaru Yar’Adua and General Muhammadu Buhari. It may be the turn of another tribe in 2023. 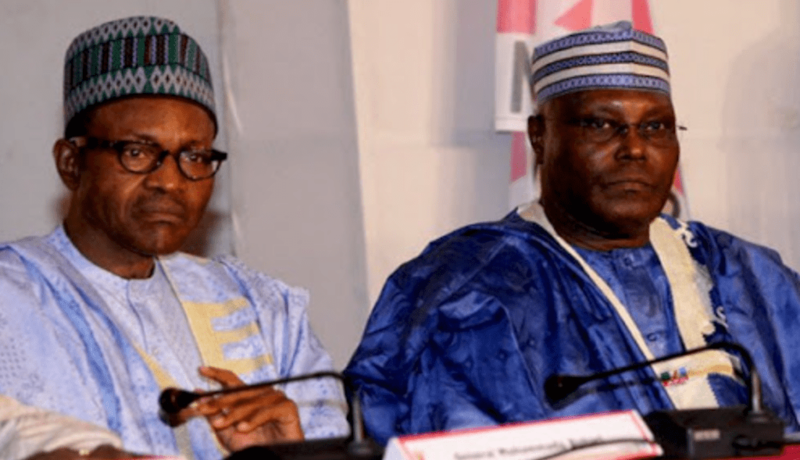 In the next few days we shall make a choice between President Muhammadu Buhari (GCFR) and Alhaji Atiku Abubakar (GCON), on who should be our president on May 29. To their credit, the two of them have distinguished themselves in public service, one in the military and the other in the customs. And they are both Fulanis. It was the same choice we were offered in 1999 when two Yorubas, General Olusegun Obasanjo and Chief Samuel Oluyemi Falae were presented to Nigerians. President Buhari is from the ancient city of Daura, while Alhaji Atiku Abubakar is from Jada in the old Sardauna province. Just as the Fulanis migrated to Daura, which is a spiritual Hausa city, before they took over the ancient city, that was how they migrated to Jada. In 1806, a Fulani, Moddibo Adamu, having received a flag from Shehu Usman Dan Fodio, returned home to what we now refer to as Adamawa and rallied round himself the Fulani settlers in the area. He easily overcame the weaker tribes of the area. The result of the jihad there was the establishment of the Fulani emirates of Yola and Mubi. And this weakened the Jukun Empire of what we now refer to as Taraba. Both Jada and Daura are border posts. Daura is a border post to Niger Republic, while Jada is to Cameroon. After Jada, one gets to Kobi, and in less than an hour to Cameroon. After Daura you get to Mai Aduwa and in less than an hour, one is in Niger Republic. This is the first time two Fulanis are vying neck-to-neck for the presidency in Nigeria, in spite of the 2007 contest between Alhaji Umaru Yar’Adua and General Muhammadu Buhari. It may be the turn of another tribe in 2023. If one considers the background history of some leaders in West Africa today, some of them are Fulanis. According to Wikipedia, the first president of Cameroon, Ahmadou Ahidjo, who ruled between 1960 and 1982, was a Fulani man. Presently, the president of Senegal, Macky Sall; that of Gambia, Adama Barrow; and the current vice president of Sierra Leone, Mohamed Juldeh Jalloh, are all Fulanis. May I also add that Boubacar Diallo Telli, the first secretary general of the Organisation of African Unity (OAU); Mamadou Dia, first prime minister of Senegal; Amadou Toumani Toure, former president of Mali; Thomas Sankara, former president of Burkina Fasso; Issa Hayatou, former president of Confederation Of African Football (CAF); Bello Bouba Maigari, the second prime minister of Cameroon; Sir Banja Tejan-Sie, former vice president of Sierra Leone; Isatou Njie-Saidy, former vice president of Gambia; Fatoumata Tambajang, former vice president of Gambia; Manuel Serifo Nhamadjo, former interim president of Guinea Bissau; Baciro Dja, former prime minister of Guinea Bissau; Amadou Boubacar Cisse, former prime minister of Niger Republic; Hama Amadou, former prime minister of Niger Republic; and Adiato Djalo Nandigna, former acting prime minister of Guinea Bissau, are all Fulanis. Wikipedia also inform us that major concentrations of Fulani people exist in the Fouta Djallon highlands of central Guinea and the south into northernmost reaches of Sierra Leone; in the Futa Tooro savannah grasslands of Senegal and southern Mauritania; the Macina inland Niger river delta system around Central Mali; and especially in the regions around Mopti and the Nioro Du Sahel in the Kayes region. Also, they exist in the Borgu settlements of Benin, Togo and West-Central Nigeria; the northern parts of Burkina Faso, in the Sahel region’s provinces of Seno, Wadalan, and Soum; and the areas occupied by the Sokoto Caliphate, which include what is now Southern Niger and Northern Nigeria (such as Katsina, Sokoto, Kebbi, Zamfara, Bauchi, Diffa, Yobe, Gombe, and further east into the Benue River valley systems of North Eastern Nigeria and Northern Cameroon). We are being told that there over 15 million Fulanis in Nigeria alone. The Fulanis in other countries, both in West Africa and Central Africa, include: Guinea – 5,070,160; Senegal – 4,052,830; Mali – 2,870,000; Cameroon – 2,344,000; Niger – 2,046,330; Burkina Faso – 1,920,050; Mauritania – 916,113; Ghana – 800,523; Benin – 750,000; Guinea-Bissau – 517,560; Gambia – 491,399; Ivory Coast – 479,000; Chad – 352,580; Central African Republic – 287,187; Sierra Leone – 258,860; Sudan – 211,000, and Togo – 111,000. It is safe to say that Nigeria has the highest number of Fulanis in the world. And, it is not by accident that the three elected presidents that have come from the North are Fulanis, namely: Alhaji Usman Shehu Aliyu Shagari, Alhaji Umaru Musa Yar’Adua and General Muhammadu Buhari. The logical question which follows from the above account is what factors were responsible for the success of the Fulani conquest of Northern Nigeria? One reason for this was the lack of unity among the Hausa kings, who were in the habit of quarrelling and warring against each other. Gobir was at war with Katsina in the 1750s, while Zamfara and Kano fought for supremacy in the 1760s. The feeling of animosity and jealousy which these wars engendered between the states made it difficult for them to co-operate and combine effectively to resist the Fulani menace. It was this lack of unity, rather than the military weakness of the Hausa states, that was responsible for the Fulani victory. A second factor which contributed to the Fulani victory was that Usman Dan Fodio and his Fulani followers adopted the strategy of isolating the various Hausa states and conquering them one after the other. Dan Fodio did this by appointing flag-bearers who he instructed to carry out the jihad in their respective areas. As a result, most of the Hausa states were engaged in the jihad at the same time, and this made combined action against the Fulani jihadists difficult. Thirdly, by commanding each flag-bearer to make himself emir in his new territory in the event of a successful jihad, Usman Dan Fodio provided a strong incentive for the successful prosecution of the war. There is no doubt that the quest for power became a powerful motive among the leaders of the jihad. A fourth factor which is often missed is the point that the nomadic Fulani who formed the bulk of the Fulani armies were better militarily organised than most of the Hausa communities or states. This was because in the course of their migration, they were often exposed to frequent attacks by local Hausa kings and the Tuareg. Naturally, they organised their encampments on defensive basis with strong and well-equipped militia to defend men and cattle in times of attack. Again their light cavalry was superior to the heavy Hausa cavalry, both for attack and defence purposes. It was this military experience that the cattle Fulani called into play when they responded to Usman Dan Fodio’s call for a holy war. Closely connected with Fulani military superiority is the organising ability of the leaders of the jihad – Usman Da Fodio; his son, Muhammad Bello; and his brother Abdullahi. The credit for the strategy of isolating the Hausa states and thus preventing their combined action goes to Usman Dan Fodio himself. But the credit for the actual prosecution of the war on the battlefield goes to Muhammad Bello and Abdullahi. Fifthly, social factors also played an important role in the Fulani victory over the Hausa states. In the first place, it has been pointed out above that following Yunfa, king of Gobir’s warning to the Hausa rulers about the growing Fulani danger, those rulers launched a general persecution of the Fulani in their respective states. This resulted in a general Fulani uprising, which plunged the whole of Hausaland into a state of war. The Fulani were thus fighting for self-preservation and avenging a racial grievance. In the second place, the Hausa kings could not count on the support of their peasant subjects whom they had alienated by their oppressive taxation and arbitrary government. The peasant population or “talakawa” naturally rallied to the support of Usman Dan Fodio, who had been condemning these cruel practices, for they looked on him as their deliverer.